Another Christmas time favorite. 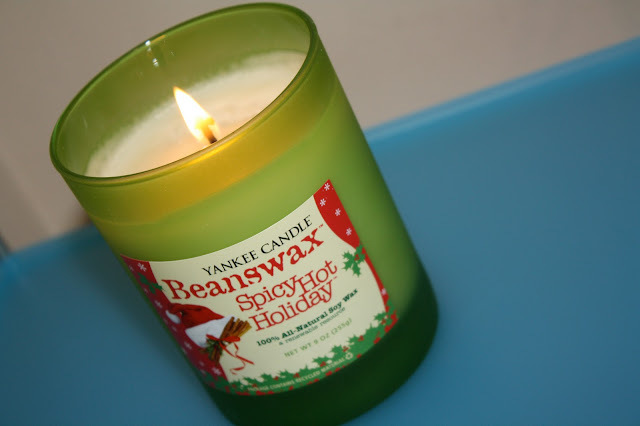 I'm not a fan of sickly sweet smells like air freshener, musky perfume or most scented candles, but this one is spicy and subtle. Ever since studying Proust in college, I like to ponder the power of aroma. I suppose scented candles are a fabricated smell, but they still evoke a feeling. I didn't have a Christmas tree in my apartment last year so I got a Christmas tree scented yankee candle. It was awesome. Nothing like a good scented candle for the holiday season. I just cannot have enough going daily and especially my night before Christmas scent.